There are two important heavyweight fights on this card. The main event winner could likely contend for a title. The co-main event will push a contender further into the spotlight. Beyond that, there’s not much to this card. When: Sunday, UFC Fight Pass has three fights starting at 10:30 a.m. ET; FOX Sports 1 has rest of card starting at 12 p.m. ET with the main card at 2 p.m. ET. Like the co-main event, this is a tough call. JDS still has power, but not enough ability to take a shot. 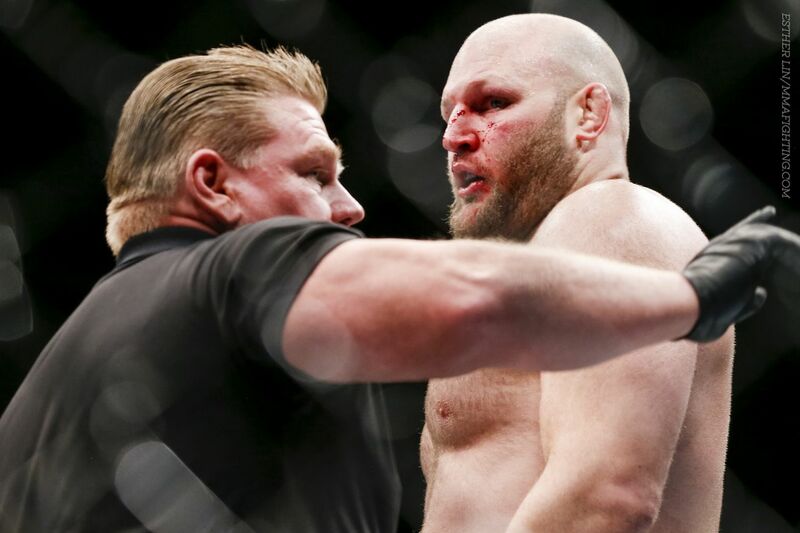 Rothwell can deliver a big punch and take one, but lacks the finesse striking to win outside of a brawl. Really, this is about what sort of JDS is left and which one shows up. Even with better movement and power of his own, all it takes is one shot from a heavy striker like Rothwell to change the fight. That makes picking JDS too speculative for me. This is like the main event in the sense that it’s a bit of a pick ’em fight. Gonzaga’s ground game is phenomenal, but his shot is hasty and he can’t take a punch like he used to. Lewis can deliver a massive punch and his takedown defense is ever improving, but is terribly susceptible on the ground. Obviously if Lewis lands a shot it’s over, but it’s hard to know how much one can bank on that. Here again, I have no real idea what will happen, but I lean towards Gonzaga.